Terry Lueschow, RLS Retires – Continues as a Seiler Ambassador for Continuing Education. They say to begin with the end in mind. When you are a surveyor, there really is no end, but beginnings to new points to be established. One of the best points in surveyor terms was when Terry Lueschow, RLS started his career with Seiler Instrument & Mfg. Company, Inc. in September of 1999. 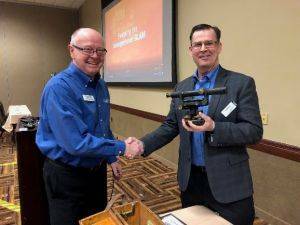 Read more on this article written in Wisconsin County Surveyors Association Newsletter – Winter 2019.